Many of us have families & relatives abroad. What better way to connect with them is to chat with them and hear them speak. We have used different mediums like texting, voice call, video call, Yahoo Messenger, Skype and all the social networking sites available on the internet today. But there's a social media network organization that helps us reach our loved ones for FREE by video call/conferencing using a different kind of communication technology. Abot Tanaw is our partner in helping us achieve that purpose. ABOT TANAW is a social media network that allows families separated by need to communicate with their loved ones through voice and video telephony services. It utilizes web-based technologies to provide valuable free communication access for families, without the need for expensive mobile and internet subscriptions and investments in hardware (computers, mobile & pc phones, etc.). By having the capability to bridge the communication gap that divides families separated by members working overseas and distant regions in the country and providing these services at virtually no cost to end-users. ABOT TANAW is able to deliver a strong socio-civic service to the various communities and locations it operates in. The ABOT TANAW business model operates on two unique pillars: “FREECONOMICS” & “FREEMIUM” which revolve around the concept of services provided for “free” to end-users on one side of the service spectrum, based on the “sponsorships” made by customers on the other side of the spectrum. 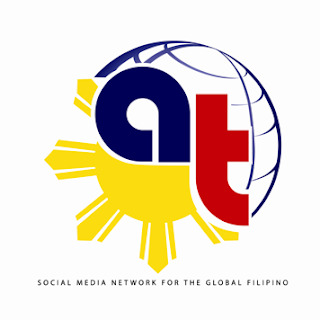 ABOT TANAW hence provides a platform for communication services across both the end-user, who desires the need to communicate with a loved one or relative on distant shores, and a means for a service-subscriber/advertiser/sponsor to reach and communicate to the families of Filipino migrant workers. The heart and soul of ABOT TANAW is its highly-advanced communication infrastructure and patented technologies that allows it to deliver seamless and superior web-enabled communication services in multiple locations, across expansive geographies, to multiple users. The centerpiece of ABOT TANAW would be the SERVICE HUBS, which are technical communication centers to be located initially inside strategic SM Malls and soon in several municipalities all over the country. These HUBS will be the primary interface venues of the “social communication network” that ABOT TANAW aims to establish. Abot Tanaw service hubs can be found in the following SM branches: SM Mall of Asia, SM North EDSA, SM Cebu, SM Pampanga (San Fernando), and SM Davao. There is also an international service hub located at the Philippine consulate in Hongkong (unit-A1 15/f United Center). Love the photos... this will really help a lot of our "kababayans"